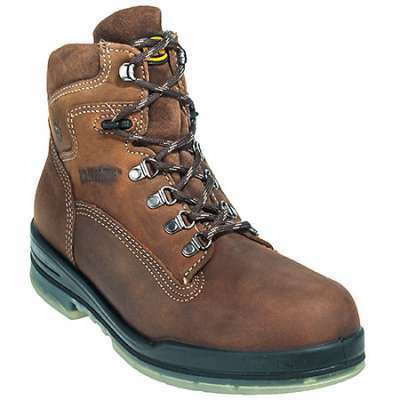 Stay safe and comfortable with the Carolina CA7533 10 Inch Internal Met Guard Wellington Composite Toe Work Boots. 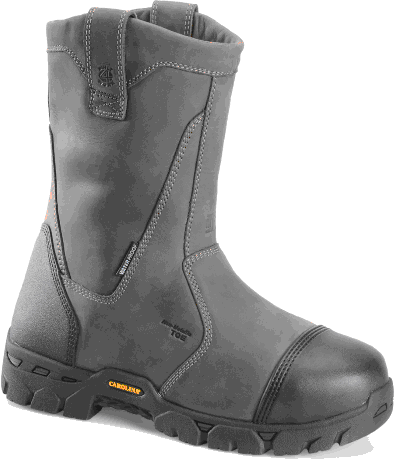 This slip on boot has all you need and more in order to ensure you stay safe while working. 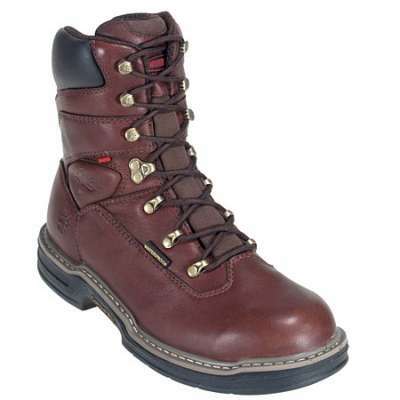 Constructed of dark brown leather uppers, a protective rubber toe, and an abrasion resistant leather heel, the exterior of this boot is sure to resist wear and tear. With the heavy duty slip resistant rubber outsole, you are sure to stay on your feet and have great traction. 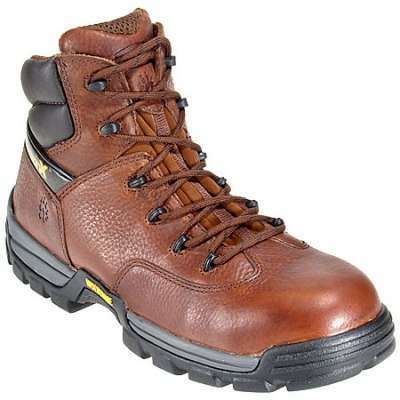 A composite safety toe cap and non-metallic internal metguard keep your toes as well as the top of you feet protected. The composite toe meets the ASTM Standards for compression and impact like a steel toe. 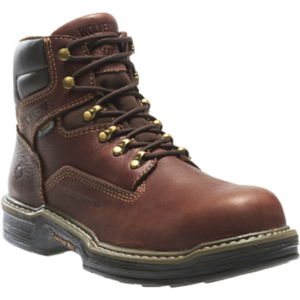 In addition, this safety boot also comes equipped with a non-metallic shank, making this the perfect boot for someone who needs protective footwear, but cannot have a steel toe on their job site. Another great safety feature of these slip on work boots is that they are Electrical Hazard rated. This means that these boots can withstand application of 14,000 volts at 60z for one minute without leakage, giving you plenty of time to escape to a safe area. 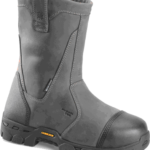 Comfort features have also be implemented in these electrical hazard boots. A 100 percent waterproof membrane called a Scubaliner has been built in to keep your feet dry when working in wet condition. A removable dual density foam footbed combined with polyurethane midsoles will give you ehanced support and comfort.